I recently had a chance to learn more about the Cystic Fibrosis Foundation's CF Care Center Accreditation Process, the process that makes sure the care that Bennett is getting at his quarterly CF Clinic appointments is at or above standard, as a part of the work I've been doing with the CF Care Model Redesign and during my trip to the CF Foundation's Volunteer Leadership Conference. I found learning about this CF Care Center Accreditation process to be incredibly valuable to me as a CF caregiver. 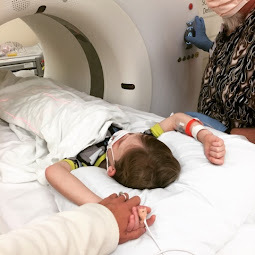 The more I know about what goes in to Bennett's care, the better I can be about paying attention to whether or not he's getting the best of care. I know other CF families feel the same way. So, I wanted to share my learning with other CF patients and families who might be interested in the nuts and bolts of how a CF Care Center is accredited. This information came from a presentation by Bruce Marshall, director of clinical affairs of the Cystic Fibrosis Foundation. Feel free to watch the webinar presentation yourself here: https://vimeo.com/122527397. I'd love to hear comments at the end of this post as we continue to look for ways to improve it! So, what is a "CF Care Center" and why it is important? Typically, a CF Care Center includes at least one CF doctor (typically either a pulmonologist or pediatrician with CF training), a nurse, a respiratory therapist, dietitian and a social worker. Those who work at the CF Care Center are considered part of the CF Care Team. 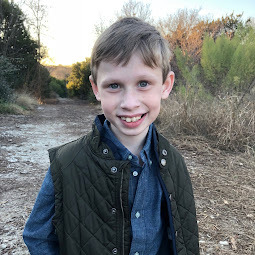 According to the CF Foundation, "this high quality of specialized care available throughout the [CF Care Center network] has led to the improved length and quality of life for people with CF." Slide is from presentation from the CF Foundation's Volunteer Leadership Conference 2015. CF Care Center Accreditation started in 1961 with the accreditation of two centers. This Accreditation took place only 6 years after the Cystic Fibrosis Foundation was formed in 1955. CF Care Center Accreditation was one of the first initiatives of the Foundation as a way to prolong survival. In the 1960s, 1970s and 1980s, there was rapid growth of accredited CF Care Centers, mainly in pediatric programs as CF was primarily a pediatric disease. In the 1980s, however, adult programs really begin to grow. In the mid to late 90's, adult model programs were evaluated. In 2000, the CF Foundation began mandating that all CF Care Centers provide adult programs. These adult programs ranged in a spectrum from CF Care Centers providing adult-oriented CF physicians but sharing the pediatric CF clinic's multidisciplinary team all the way to true CF Adult Care Models, which included a separate and distinct adult CF Team. In the last year or two, the last pediatric-adult shared programs have separated so that now all adults with CF at every CFF Accredited Center have access to their own adult CF Team. Now in the US, we now have a mature pediatric and adult care model for all of those with Cystic Fibrosis. * A multidisciplinary team - such as a respiratory therapist, dietitian, social worker. Other team members can include a pharmacist, physical therapist, psychologist, chaplain, a patient advocate, etc. * Participation of the CF Clinic to participate in the patient registry, an IRB patient-consented observational study that is used to evaluate much of CF care. The CF Care Center Accreditation CommitteeThese four standards are enforced by a CF Care Center Committee, made up of 9 pediatric and 9 adult CF Care Center Directors, elected representatives from pediatric, adult and affiliate programs. Committee members serve two year, renewable terms. The CF Care Center Committee's Mission Statement is "to support the CF Foundation Mission by fostering exemplary care of all individuals with CF through: promotion of standards of care, accreditation of care centers, education of providers and advancement of research in all aspects of CF." The Committee meets twice per year, typically in May and in December for 1.5 to 2 days each time. During these meetings, the Committee evaluates those CF Centers visited during the previous months. All CF Care Centers are visited by the Committee and are evaluated for accreditation every 3-5 years. There are two core processes of the Accreditation Process. 2.) annual updates submitted by centers. When a CF Care Center is visited by the CF Care Center Accreditation Committee, the in-person visit typically last a day or day and a half. Typically there are two visitors who attend the site visit (usually a pediatric and an adult CF doctor). During this meeting, the Committee representatives meet with institutional leaders (aka the CF Clinic director, the hospital directors, etc.). The Committee does a comprehensive assessment of the center. They look at the clinic, the personnel, the facilities, key labs to CF care (such as the sweat test and microbiology labs). They do a chart audit and hear report outs of teaching and research, as well as quality improvement. Sometimes, but not always, the Committee members will meet with the CF Patient Advisory Board. Once the site visit is complete, the Committee members will get together to share and review their Site Visit findings. During that meeting, the Committee will go through all centers considered in that 6-month cycle. A decision is made on accreditation status of each Clinic evaluated. 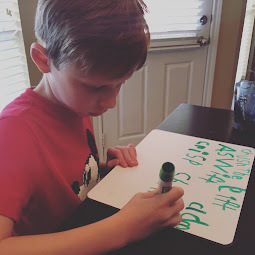 Once a decision is made, critiques based on the site visit are written down and are sent in a letter form back to the CF Care Center, at which time the CF Care Center is notified of their accreditation status. After revealing the accreditation status of each center, the Committee requests a response from the CF Center. CF Centers are given a short amount of time to respond via letter regarding the Committee's findings. (aka, if the Committee states the CF Care Center is losing their accreditation, the Committee lists in the letter why the CF Clinic is losing their accreditation. The CF Clinic then has some time to write a letter back to the Committee stating their challenges and how the Committee can expect the CF Clinic to respond. Since not all CF Clinics are visited yearly, there is an important aspect of accreditation that continues. This is done through "Annual updates." Annual updates are sort of like progress reports from the CF Center to the CF Foundation each year. Questions are asked regarding the CF Clinic's strengths, weaknesses and challenges. If the CF Foundation sees a problem with one of these annual updates, the institution will be flagged for an early site visit and the Center Committee is notified. If there are no problems, the CFF will provide accreditation approval and they stay on their 3-5 year cycle of Accreditation. So, once a CF Center is Accredited, then what? So, center sites visited in the previous year are eligible for the "Quality Care Award" based on evidence of "sustained quality improvement resulting in improved outcomes. The CF Foundation provides recognition of the Center/s who receive this award at the NACF Conference. * Public recognition of excellent performers - CF Care Centers can be the pride and joy for awards and their institutions. They can be model for all other centers. 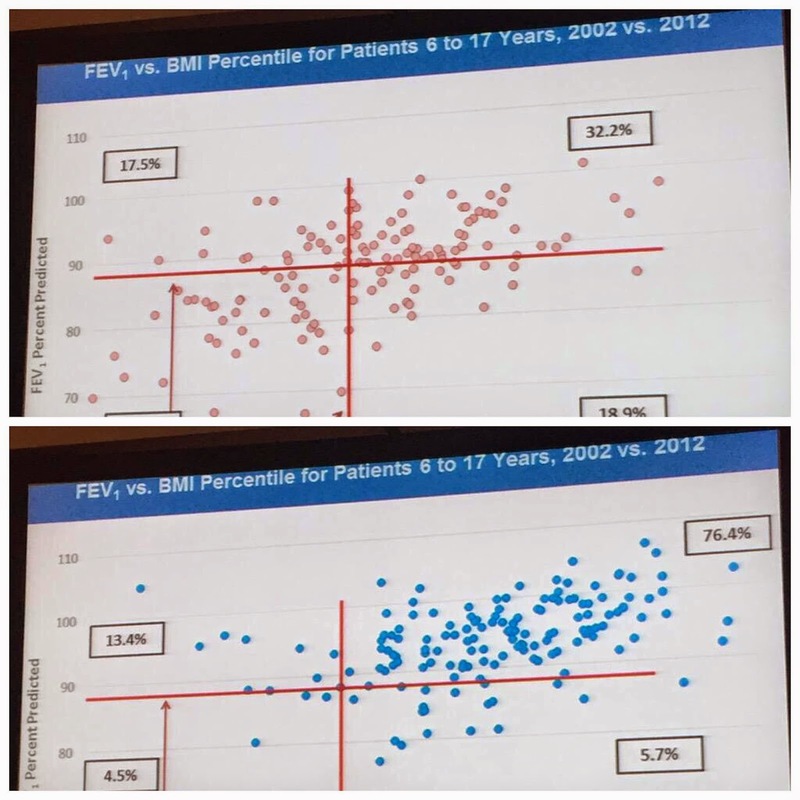 In the slide below, you can see how CF Care Centers are doing in their measurement of patients (6-17 years old) with their FEV1. Most CF Care Centers (represented by black dots) fall within the mean (represented by the gold line). However, a few CF Care Centers are doing much better than the mean (see the green dots) and some much worse than the mean (see the red dots). Note that 5 of the 6 red dots are those CF Care Centers who are CF Care Center affiliates. This is just one of the reasons why the CF Foundation has put in to place the Targeted Assistance Program. Nobody wants to go to a CF Care Center well below the mean. This blogpost packs in a TON of information. But I wanted to blog about this process for two reasons. One, I wanted to blog because this information - information about the CF Care Center Accreditation Process is hard to find. The CF Foundation's website does not list much, if any, of this information. I wanted to share it with other CF families. The second reason I wanted to share is because, as a part of my work with the CF Care Center Redesign, I have realized that while there are SO many wonderful processes in place to help our CF patients get and stay well, there are many aspects of CF care that need to be improved. The Accreditation Process is one of those. 1.) I'd like CF patients/caregivers involved in the accrediting our CF Care Centers. The patient/caregiver voice is vital to improving CF care. We need structured and integrated input from CF patients/caregivers when choosing to accredit CF Care Centers. 2.) I'd like more transparency about our CF Care Centers accreditation process. When CF Care Centers lose their accreditation, it is simply taken off the website. Passive communication about a CF Center's accreditation or lack thereof cannot help CF patients make informed decisions. As much as I absolutely *loved* learning about the ins and outs of the CF Care Center process, I was disappointed that I had to be involved knee-deep in a project that the CF Foundation is supporting before I could get access to this extremely beneficial information. I want information like this to be more accessible for all CF patients/caregivers, not just those involved in particular projects with the Foundation. 3.) Not only do I want to know how my CF Center is doing in the accreditation process, I'd like to know how other CF Care Centers are doing with their accreditation. The CF Foundation gives out Quality Care Awards at the NACFC. But, the problem with NACFC is it's nearly closed to CF patients and caregivers attending. So, I would like to know who is winning awards, why and how. 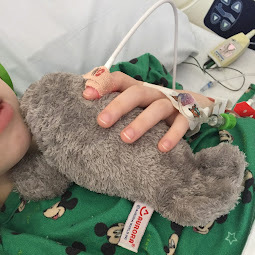 Knowing my clinic or other clinics are doing well only helps me better understand the kind of care my child might be receiving at their CF Care Center. 3.) I appreciate the current Accreditation Process, but I'd like a Process that pushes my CF Care Center to go beyond minimal standards. I am incredibly grateful for the process we currently have in place. The CFF Accreditation Process helps to assure Bennett is at a CF Care Center that, at minimal, is up to CF standards in his care. But I want more for Bennett and for all those with CF. At this point, there is no direct way for CF patients/caregivers to know how their CF Care Center is doing compared to others around the country. I'd like to see the Accreditation Process adopt some type of higher recognition of CF Care Centers that are providing care beyond the minimal accreditation standards.